Black rhinos are rare and elusive across much of their range. However the population in Etosha National Park is well-protected and frequently visits waterholes at dusk and after dark. Halali waterhole is illuminated by floodlights which provided enough illumination to make a half second exposure using high ISO. 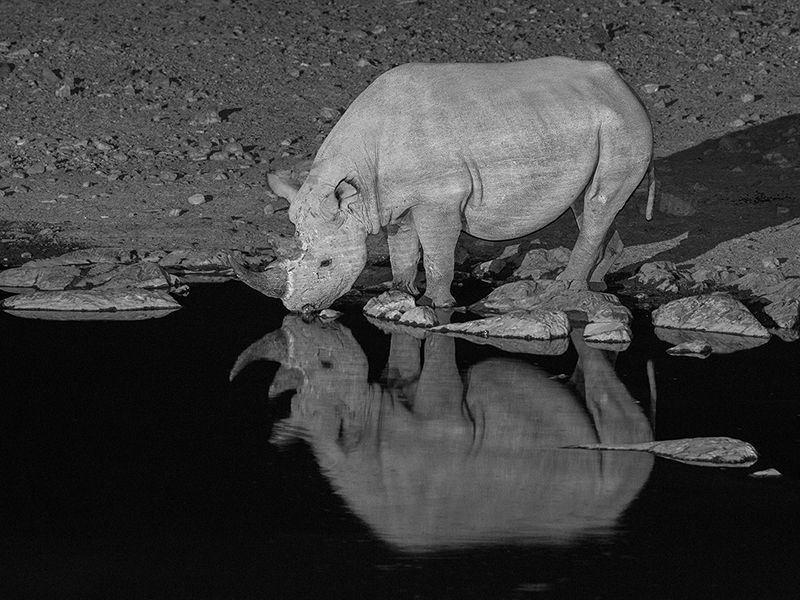 I waited until the rhino was completely still and fired the shutter with a remote cable release. Camera flash has provided additional illumination to soften the shadows cast by the floodlights.